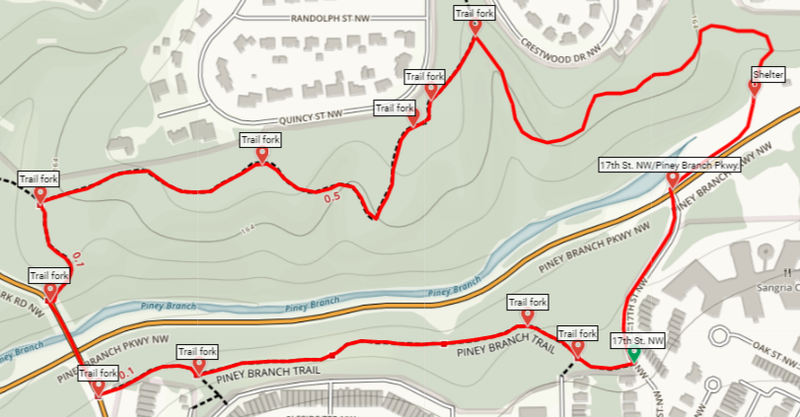 Situated just north of today’s Mount Pleasant neighborhood in Washington, DC, Piney Branch carves a wooded valley that was a longtime source of quartzite and boasted the first road through what would become Rock Creek Park. A smattering of trails zig-zag across the steam valley, but the description below covers a 1.5-mile loop around the area. Situated in the heart of the city, Piney Branch can, naturally, be accessed from a number of spots. 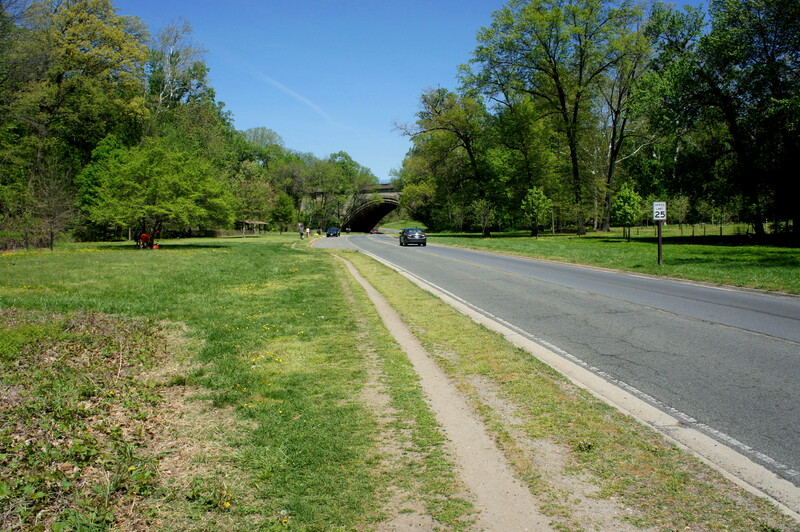 For subway riders, however, starting at the Rock Creek Park entrance off 17th Street NW, a roughly 10-15 minute walk from the Columbia Heights Metro, makes the most sense. 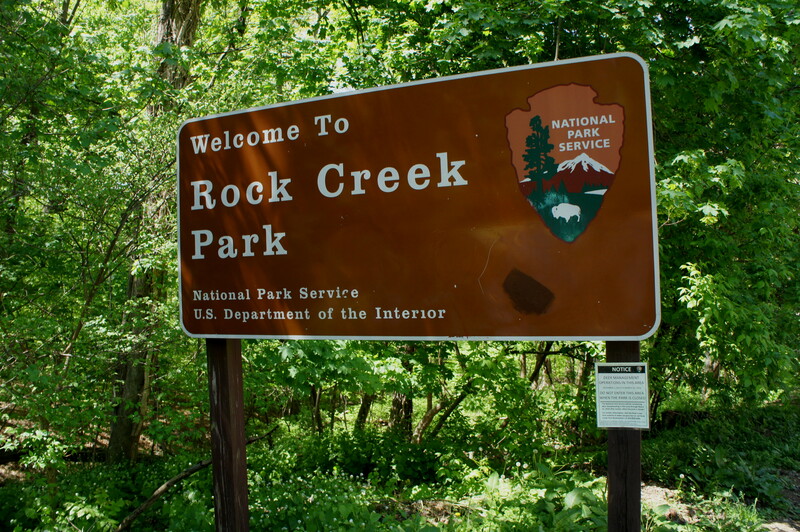 Tucked away in the charming Mount Pleasant neighborhood, look for a large Rock Creek Park sign as your cue to bear left onto the obvious but poorly-labeled trail. The Piney Branch Trail bears generally west into the woods from here, edging around a small ravine and passing a spur trail up that leads up to Mount Pleasant Street within the first two minutes; stay right. Bear left at the next junction as the Piney Branch Parkway comes into view ahead. The route keeps its distance from the road as it bears westward, dropping down a set of wooden stairs and over a short wood bridge. 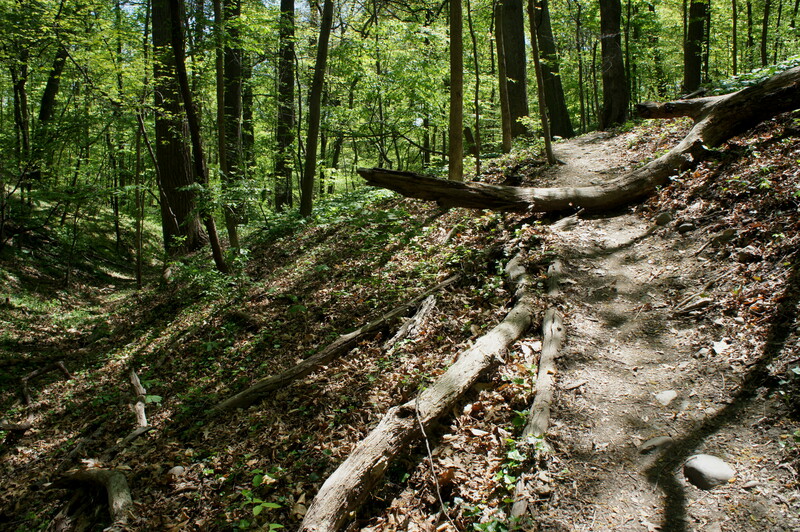 After climbing out of the gulch, the trail quickly dips in and out of a subsequent ravine. At roughly 1/3 mile, stay right as a steep spur veers left up to Ingleside Terrace. Within minutes, the trail abruptly ends as it pulls level with a row of townhouses and spits out at Park Road NW. Bear right on the sidewalk and cross the Park Road bridge to the north side of Piney Branch. Just before the road bears left up a minor hill, look for the trail continuation bearing off to the right. (Note: Look for the sign marked “bird nesting area.”) Follow the dirt path as it climbs to a trail fork at around 0.55 miles. Bear right. The trees in this area are relatively new growth, for the most part thin and widely-spaced. 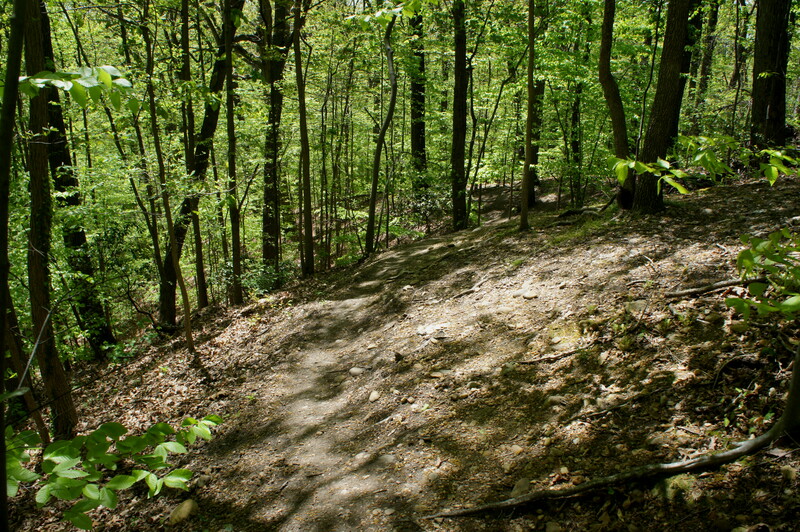 Shortly after the junction, the trail climbs steeply to reach a point roughly level with the neighborhood on the left. Stay right at the fork at around 7/10 mile, after which the trail ascends again for a short period. 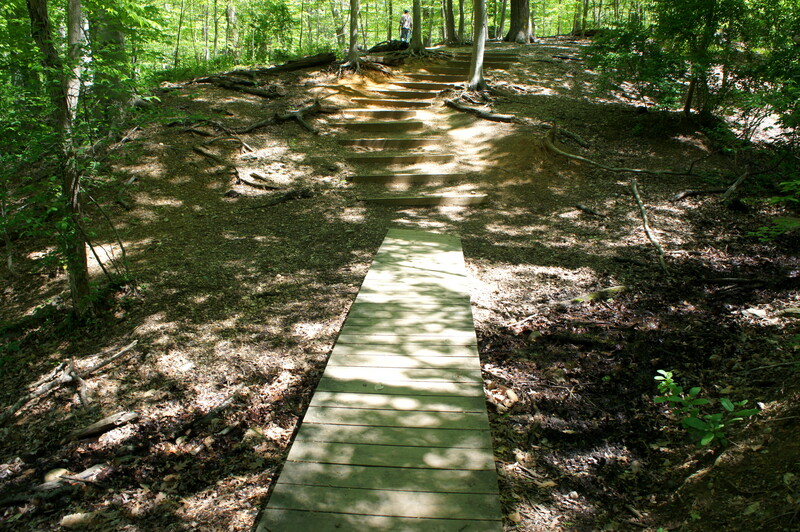 Drop down and cross a muddy ravine at ¾ mile, continuing on the path as it makes a hairpin bend to the northeast. Passing two more spurs on the left, the trail traverses relatively level uplands before descending yet again, this time into a bowl-shaped gully laced with green undergrowth. After crossing the creek, the path of least resistance curves sharply south, quickly emerging into the full sunlight near a picnic shelter. 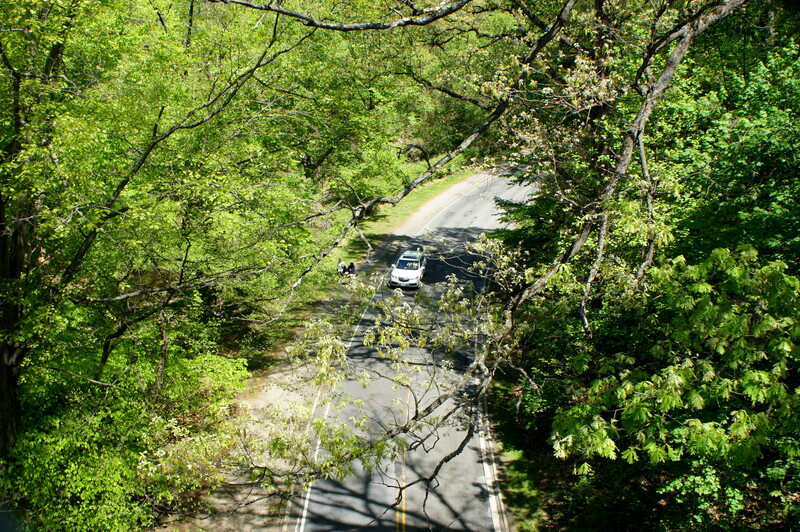 From here, make your way to Piney Branch Parkway, just steps away, and bear right. Follow the dirt track along the road for around 200 yards, then cross the parkway at the sight of 17th Street NW heading south. Stay to the right side of 17th, where a dusty trail provides access back uphill to the starting point. 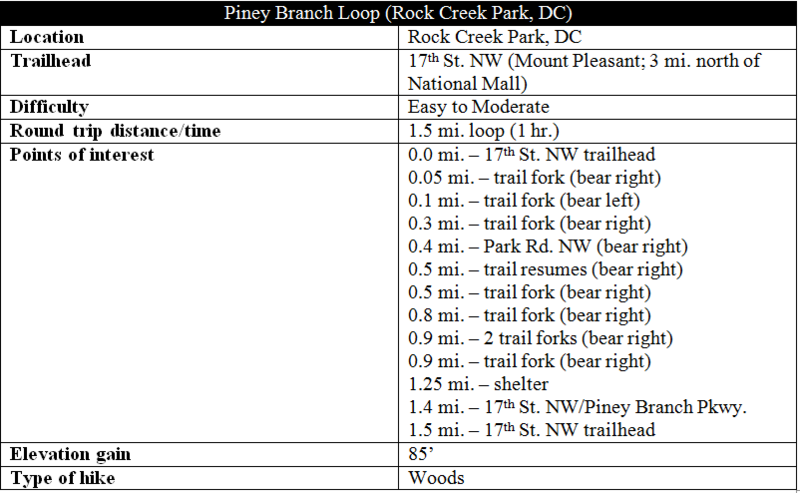 Allot around 45 minutes to an hour for this loop hike, or less if you—like many in DC—plan to make Rock Creek Park part of your morning or evening jog. This entry was posted in District of Columbia, Moderate Hikes, Rock Creek Park and tagged loop hike, Mount Pleasant, Piney Branch, Piney Branch Trail, Rock Creek Park, stream valley, Washington DC. Bookmark the permalink.